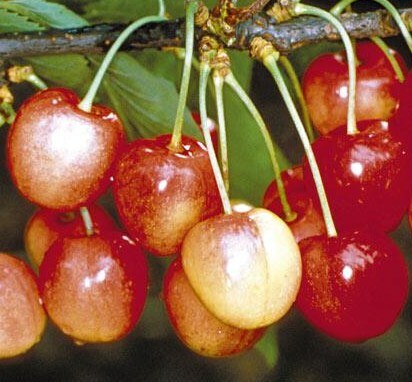 Sweet Cherry Merton Glory fruit trees - This is the one to choose if you want a outstanding, large yellow-red cherry early in the season. Fruits are heart shaped rather than round. White flesh. Picking time late June. I love receiving a crate of Blackmoor trees as I know they will always exceed my expectations. Today is no exception. Thank you very much for my great Merton Glory! Fab tree delivered. Much larger than I was expecting! Now happily planted into my garden. I have only good things to say about my purchase and will certainly be back again in the Autumn when I plan to extend my fruit garden.